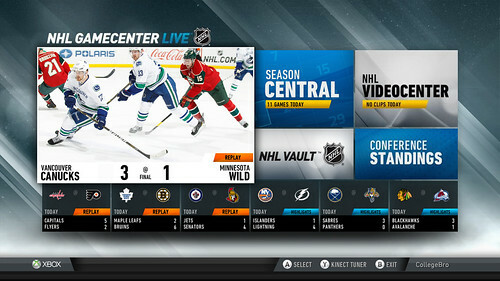 NHL GameCenter is now available on Xbox LIVE* around the globe, giving Gold subscribers access to their favorite NHL hockey action right from their Xbox and just in time for the 2013 season to take center ice. NHL GameCenter for Xbox 360 brings you live games, replays, classic games, and videos from NHL VideoCenter, plus controller-free entertainment with the power of Kinect for Xbox 360. Noticed this on the dash the other day, i'll stick to watching games for free via my usual websites!